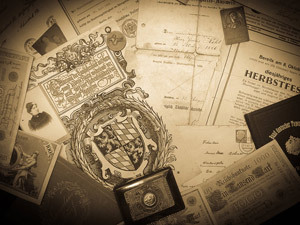 Our business draws from decades of experience, combining archive searches with an analysis of ancestors or clans. Creating your family tree can be time consuming to do on your own so we are here to help save you time and will be by your side every step of the way. You may have been toying with the idea for a while to get help with your family research and now you have found us! First, it is important to find as many documents and records as you can about your family. This could include family chronicles, pedigree papers of the 3rd German Empire or even older handwritten notes of family history. Equally important, and sometimes overlooked, are personal conversations with elderly family members to learn about the family relationships. The purpose of this intake session is to gathering all relevant data in order to begin our work. There are many different reasons that you may be interested in your family tree – what are your goals? Most of our customers want an overarching genealogy, meaning each of your ancestors regardless of gender is investigated. 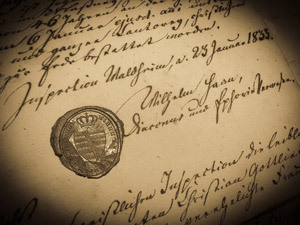 Some clients desire to exclusively research their lineage to determine the origin of the family name. In this case the female line would not be researched even though there are often exciting stories to be told! We are happy to help you achieve your goal, whatever it may be. After we have completed our intake meeting and understand your goals, our work begins. 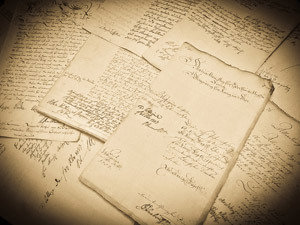 We will visit the relevant archives and dedicate ourselves to reseaching your family history. With the help of church books we will follow your family lineage from generation to generation in order to develop your complete family tree. In addition, we will obtain digital copies or photos of each record found to provide you with comprehensive records. In case you are not familiar with archaic writing styles, we can also create a legible transcript. We will keep a detailed accounting of our research so results and expenses are clearly documented. If we should exhaust our agreed maximum budget, we will send you the results to that point along with the invoice followed by any remaining steps that can be completed if additional funds are approved. We are often asked “how far back can you go?” however there is no standard answer as every case is different. Sometimes there are chronological limits, particularly around the time of the 30-year War (1618-1648). Additionally, numerous wars throughout the centuries have resulted in many papers and documents from archives being irrevocably lost. Knowing this, it is impossible to tell how far a family line can be traced at the beginning of a search but for central Germany we have found that most church records are still in tact. On average, church records date back to the 17th century and, in case the church books are incomplete, government archives may also exist. Having investigated only “raw data” of your ancestors so far, it is now possible to determine personal circumstances as well. 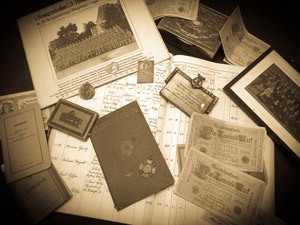 Our clients usually find it interesting to learn which household or personal goods belonged to the departed and/or what they left behind as well as hardships they faced such as fire, thunderstorms, plagues, wars, etc. Some clients are surprised to learn about criminal act such as discovering an ancestor was convicted as a cattle thief! There are few limits to the possibilities. 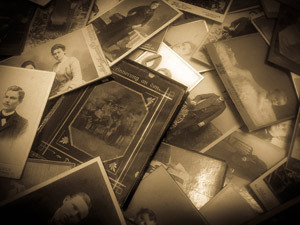 With each investigated person many more possibilities open up that reveal even more genealogical information. To many of our customers it is not enough to simply know who their ancestors were but to learn about the events and circumstances that took their lives. This kind of work is usually not done in one sprint. You decide the time and speed. An extensive research assignment can be continued through months or years depending on the extent of research requested.